Trailer and poster for director Shelton's upcoming drama. 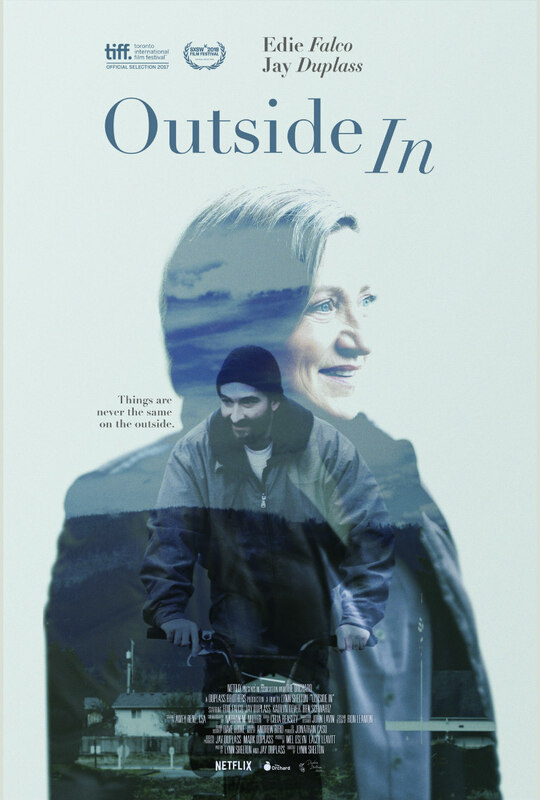 Writer-director Lynn Shelton (Laggies; Your Sister's Sister) returns with Outside In, the story of a released convict (co-writer Jay Duplass) who embarks on an affair with his former high school teacher (Edie Falco). Kaitlyn Dever and Ben Schwartz also star. Outside In is in US cinemas March 30th and VOD April 3rd. A UK/ROI release has yet to be announced, though as it's produced by Netflix, expect it to debut on the streaming platform in these parts. After serving 20 years for the crime of essentially being in the wrong place at the wrong time, 38-year-old Chris (Jay Duplass) is granted early parole thanks largely to the tireless advocacy of Carol (Edie Falco), his former high-school teacher. As he struggles with the challenges of navigating the modern world as an ex-con, and with a fraught relationship with his brother Ted (Ben Schwartz), Chris ends up confessing his romantic love for Carol — a love that, given her marital status, Carol cannot reciprocate. Or can she? Carol longs for something her husband no longer provides. Meanwhile, Carol's daughter Hildy (Kaitlyn Dever) befriends Chris, finding a kindred spirit in this awkward, tormented older guy.